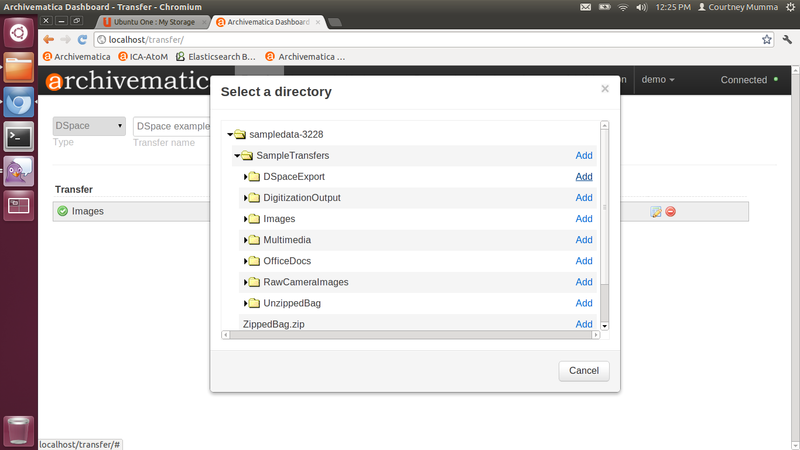 Archivematica can act to facilitate a “dark archive” for a DSpace repository - i.e. providing back-end preservation functionality while DSpace remains the user deposit and access system. 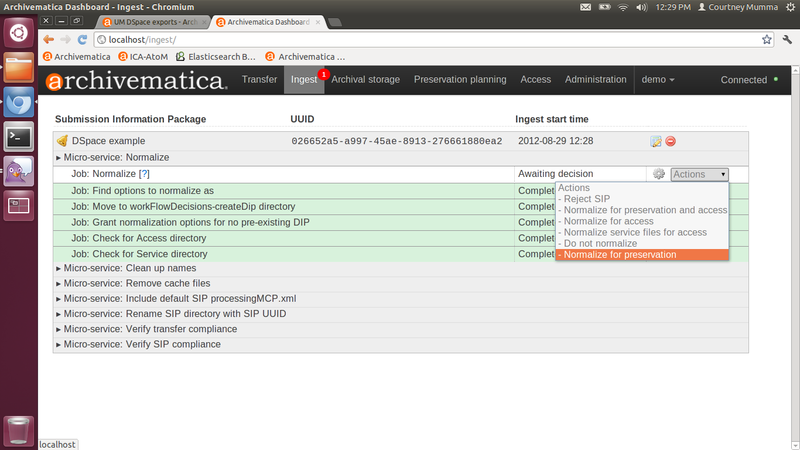 Archivematica has been tested using exports from DSpace 1.7.x. Ingest has not been tested on exports from DSpace 1.8.x; however, there were no changes in the DSpace AIP export structure between 1.7.x and 1.8.x so it is anticipated that performance will be identical. 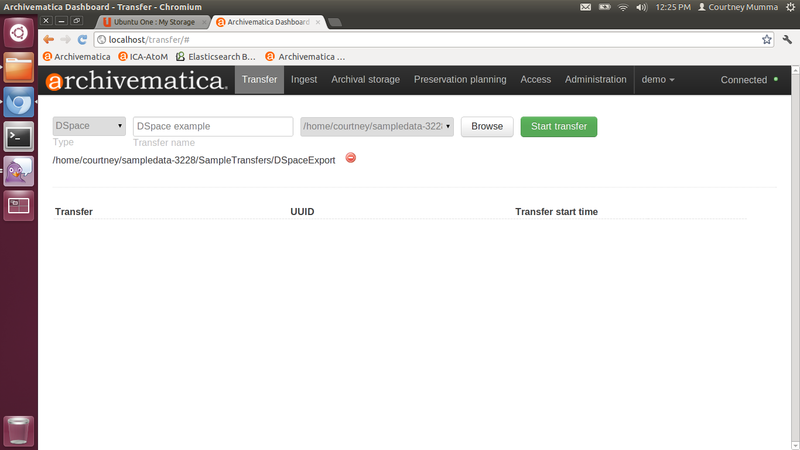 The transfer should be structured similar to the one in Archivematica’s sample data at sampledata/SampleTransfers/DSpaceExport. This is a standard DSpace export with one DSpace AIP for the collection-level description and one for each of the deposited objects. The inclusion of the collection level export (eg aip_1314.zip) is not mandatory. To process, configure the source directory containing the transfer in the Administration tab of the browser. See Administrator manual - Transfer source directories. In the transfer tab, use the dropdown menu to select the DSpace transfer type. Then, browse to the appropriate source directory and add your DSpace export. 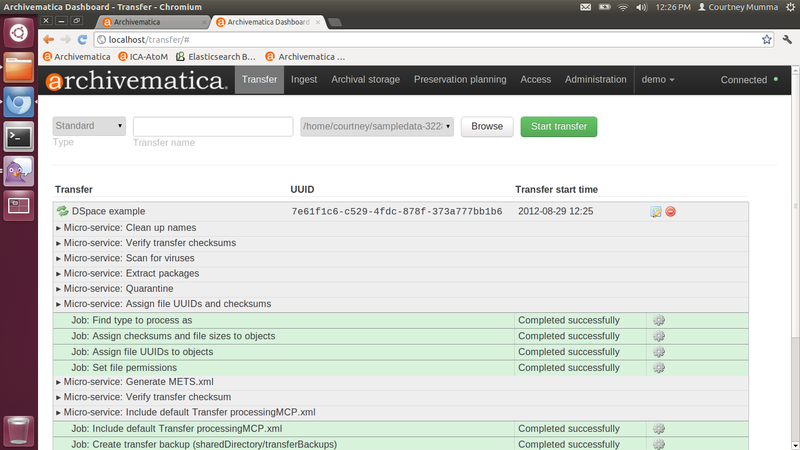 When the DSpace transfer has loaded to the dashboard, click Start Transfer to begin processing. At the normalization step, choose “Normalize for preservation”. The METS file for the AIP will show fileGrps for the different file types: original, submissionDocumentation (the mets.xml files), preservation, license and text/ocr.